Originally called “French Locks” because that was the area where they first appeared, were the final development in firearms during this period. They are ‘state of the art’ and remained in use for almost a hundred and fifty years. The flintlock (and the English lock) were cheaper to make and less complex than the snaphance. 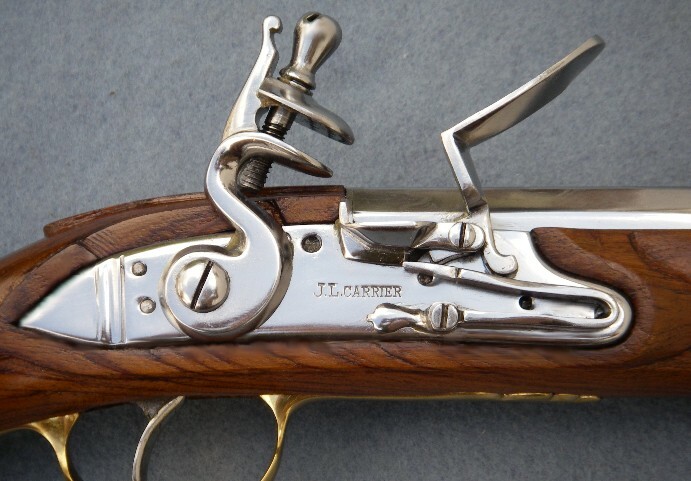 The flintlock has an internal ‘half cocked’ position that facilitates loading and allows the weapon to be carried all but ready to fire. It also combines the pan cover and the Steel striking surface into one piece.